Everyone loves earrings and these are perfect for those who love African Violets. You can whip up these earrings for yourself or a loved one in one evening. The clear, concise instructions include pictures for every round. This pattern is very easy if you have experience with small steel crochet hooks. You are permitted to sell any items you make using this pattern as long as credit for the design is given to JadeRoseCrochet. 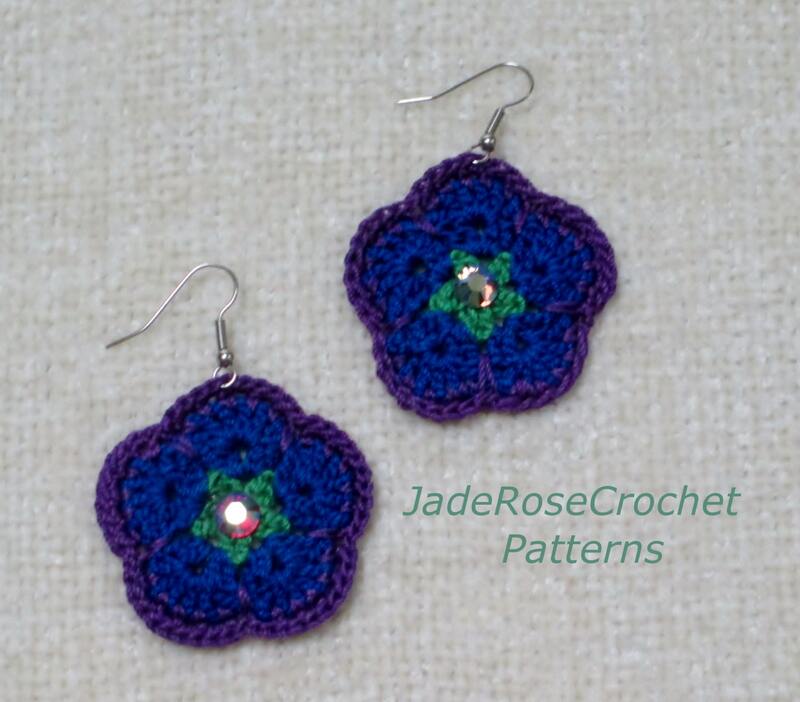 Love the earrings but don't crochet? Contact me for a custom order - I have lots of other colors to choose from.